You'll see an announcement from us about this in the future. 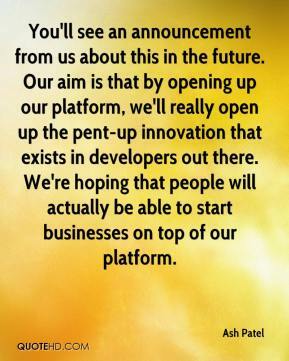 Our aim is that by opening up our platform, we'll really open up the pent-up innovation that exists in developers out there. We're hoping that people will actually be able to start businesses on top of our platform. Developers play an important role in helping to enhance Yahoo's vast network of services. 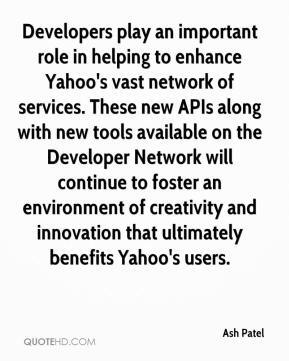 These new APIs along with new tools available on the Developer Network will continue to foster an environment of creativity and innovation that ultimately benefits Yahoo's users.